Low capital requirement trade alerts with a 87% win rate. 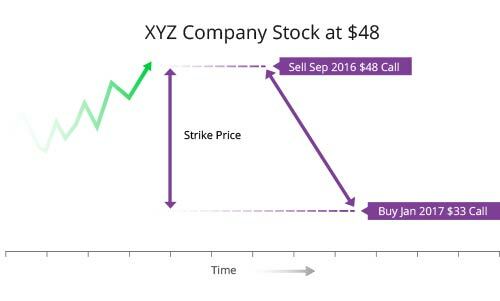 This is a simulated covered call that uses a long-dated in-the-money call option to substitute the long stock position. It simulates a covered calls by selling a short-term call while simultaneously buying a long-term call at a lower strike price. This allows for a greater rate of return, and the trade remains profitable if the stock rises, goes sideways or even dips a bit. 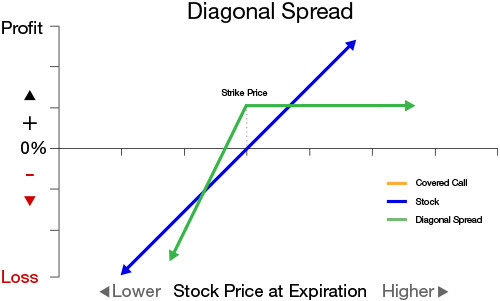 Ideally, the diagonal spread trade closes the position for a full profit before the sold call expires. The objective is for the sold calls to be in-the-money during the week before expiration where we exit the position for a larger profit than targeted. To exit, one buys back sold calls and sell long-term call for a net credit. The credit will generally be larger than the difference between the strike prices of our options. Through June 2018 the Diagonal Spreads Portfolio has an annualized return of 26.75%. 69 out of 79 trades were winners for a 87.34% win rate. To see the trade history of the Diagonal Spreads Portfolio, feel free to visit the Closed Trade page.